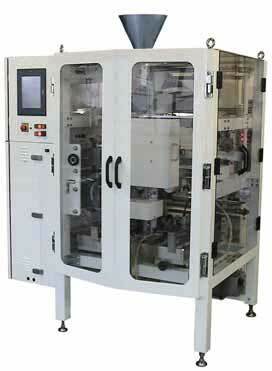 This machine is primarily designed for producing of reclosable zipper pouches. Servomotor drive to increase stability of the sealing function. Automatic adjustment device of film tracking. Versatile packaging forms are available, zipper bag, 4-side, 3 side seals and pillow type bag.